Healthcare Analytics provides an instant solution to your data needs, allowing you to convert mass amounts of data into actionable insights. 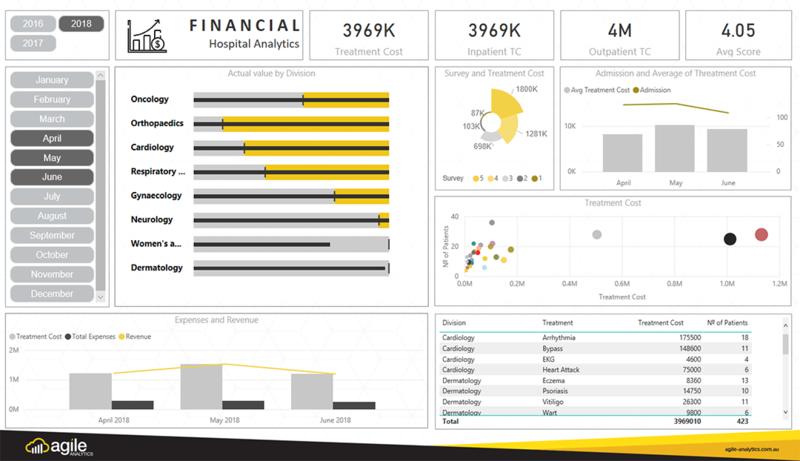 Agile Analytics Healthcare Analytics provides an instant solution to your data needs, allowing you to convert mass amounts of data into actionable insights. 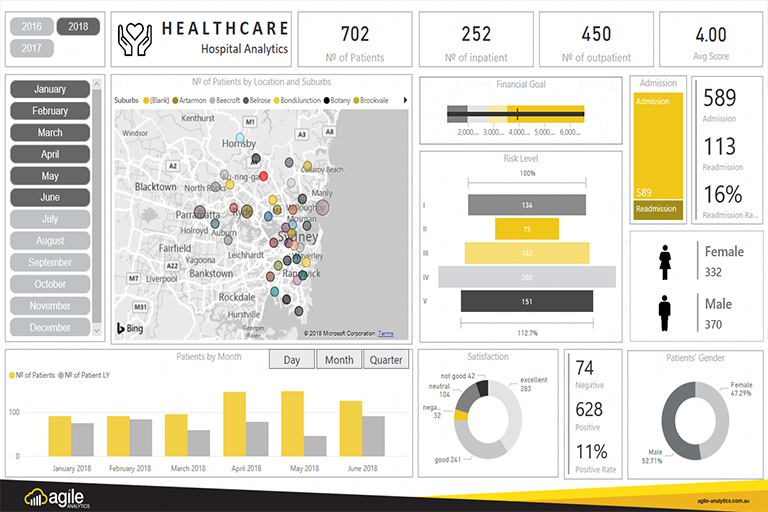 Built on Microsoft Power BI and latest cloud technology, Hospitals and Healthcare organisations will have an outstanding level of clarity and insight into their data which will help to achieve a better understanding of their overall performance. Customized dashboards allow users to create and modify to suit your needs. 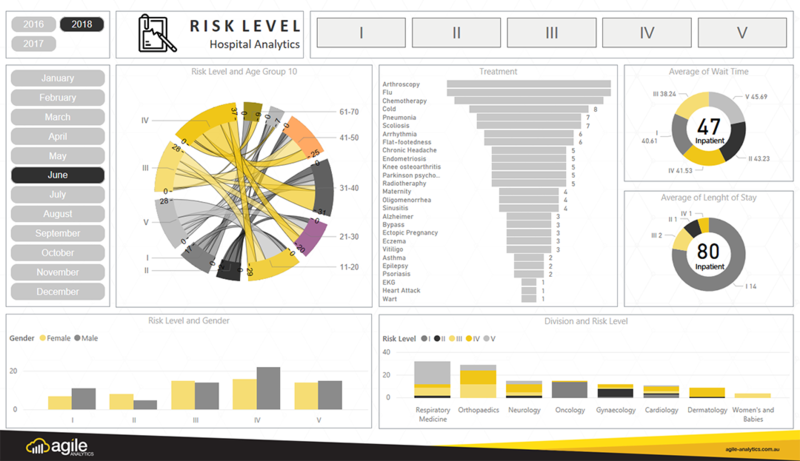 The Healthcare Analytics solution adapts to your data requirements when and as you need. 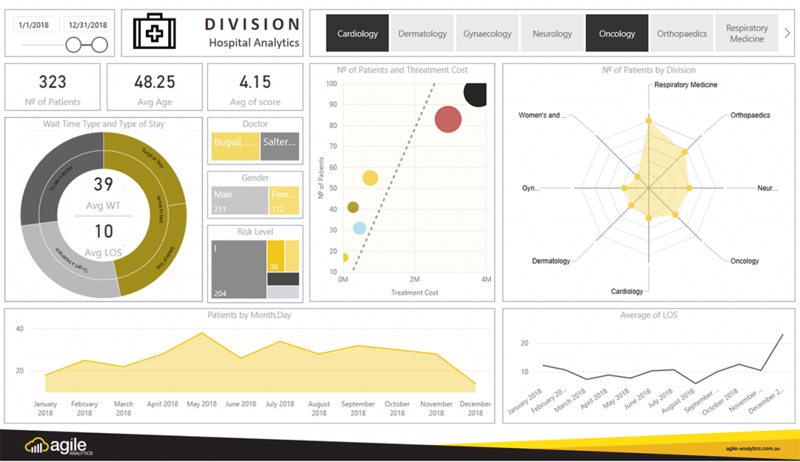 Dashboards are interactive and present real-time data that allows you to oversee division and risk levels, types of treatments, average wait times, Doctor statistics, satisfaction, scorecards, and much more. Digging through endless pieces of information is a thing of the past with our Healthcare Analytics solution! 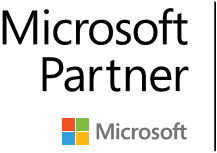 You can make data-driven business decisions quickly and confidently whilst saving valuable time.